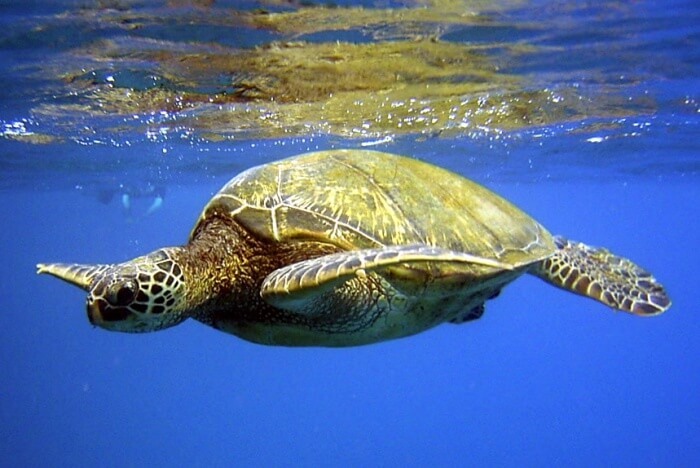 Turtles live in many different places depending on the turtle species; some turtles live almost entirely in the water while others spend time on land. Some turtles live in the ocean while others prefer shallow water areas, such as marshes and lakes. In terms of geographic location, there are turtle species around the world from Canada to Central America, Africa and Australia. Depending on the location of the turtle species, the turtle species may also endangered. All turtles, however, need to live near a water source. All turtles also move slowly, lay eggs and have hard shells that they use to protect themselves from danger by withdrawing their limbs into the strong shell.